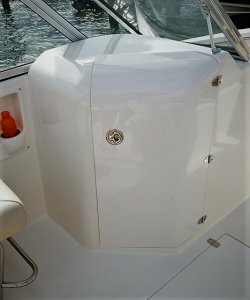 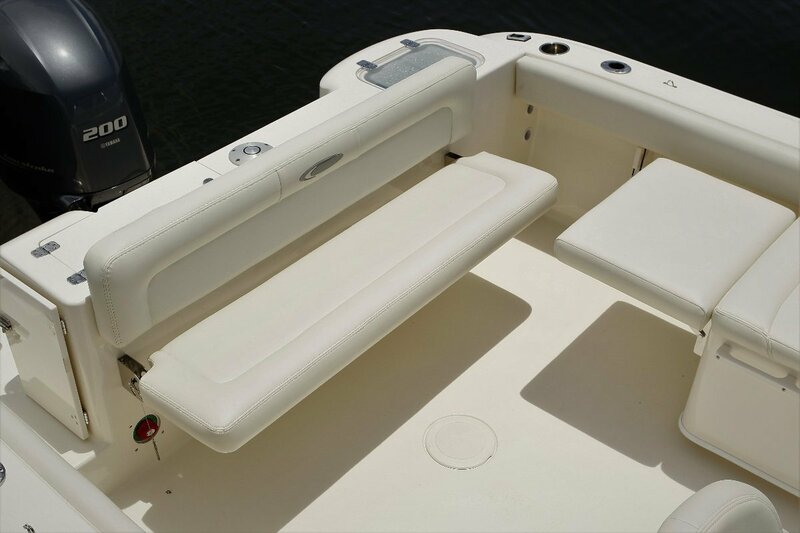 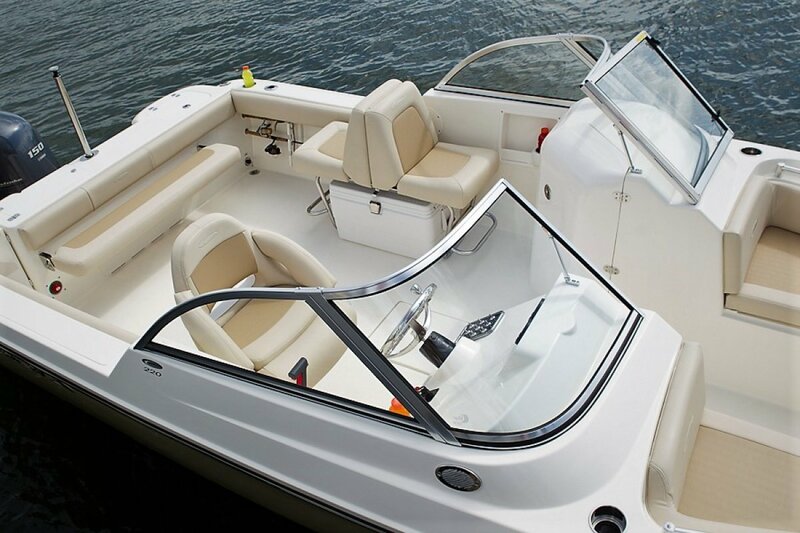 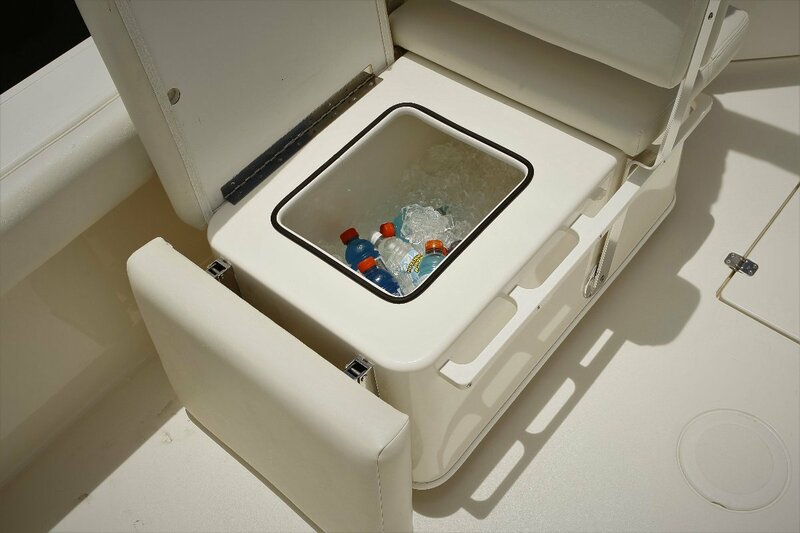 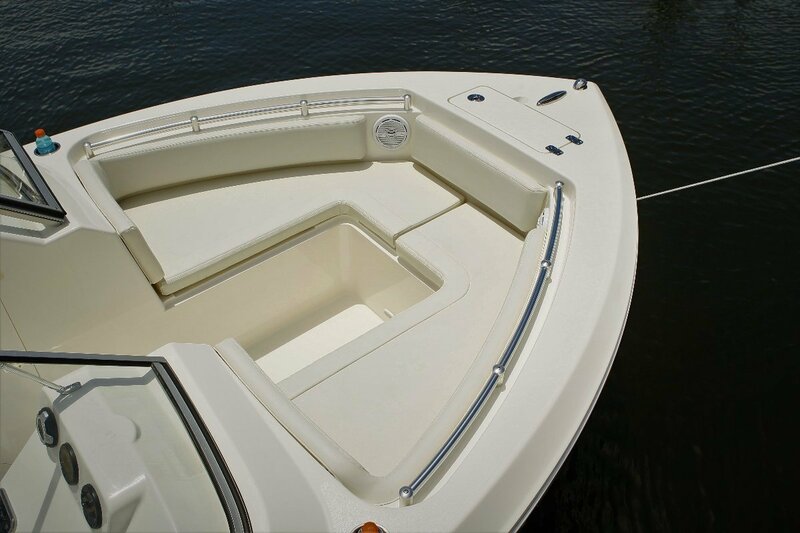 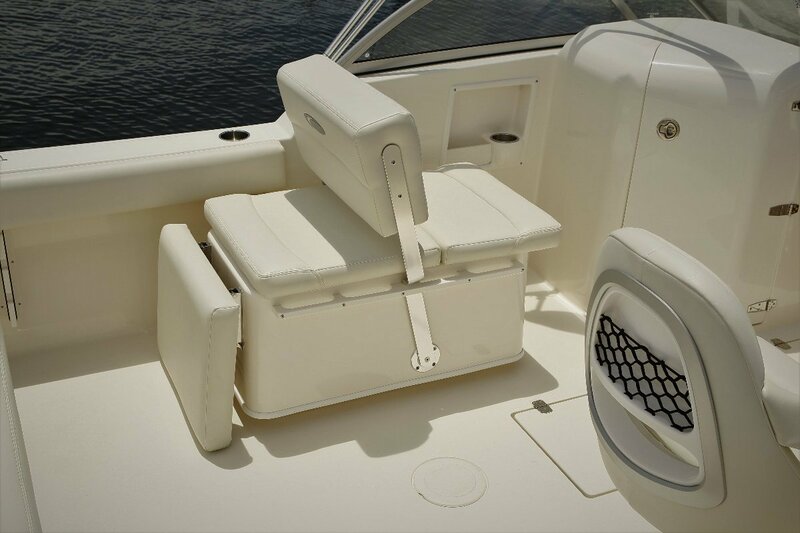 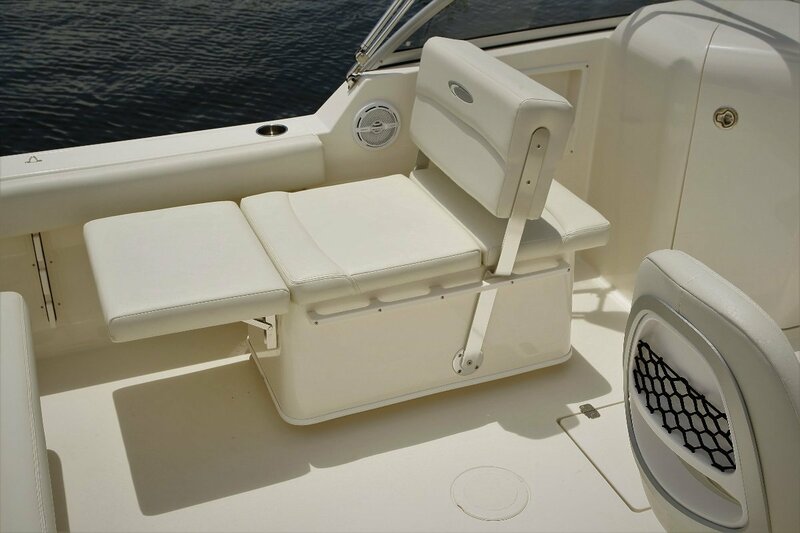 Bimini top, Retractable ski pylon, Marine toilet & all factory standard specifications. 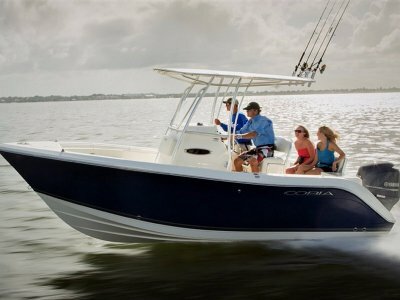 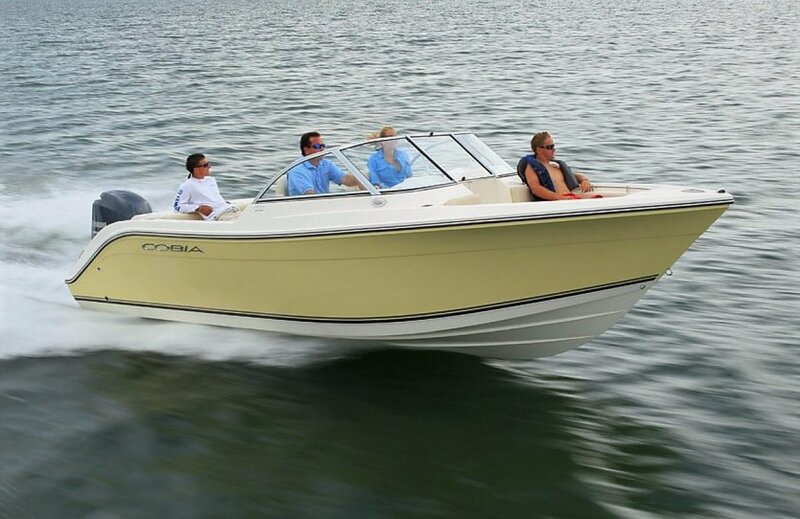 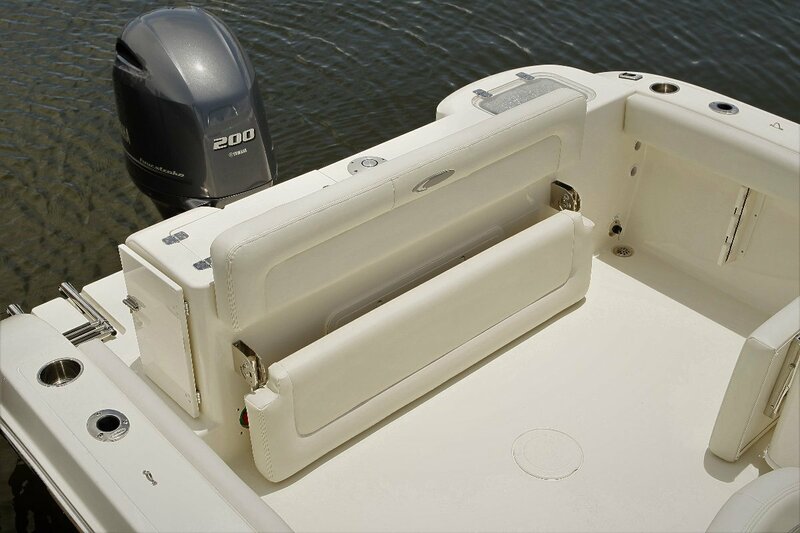 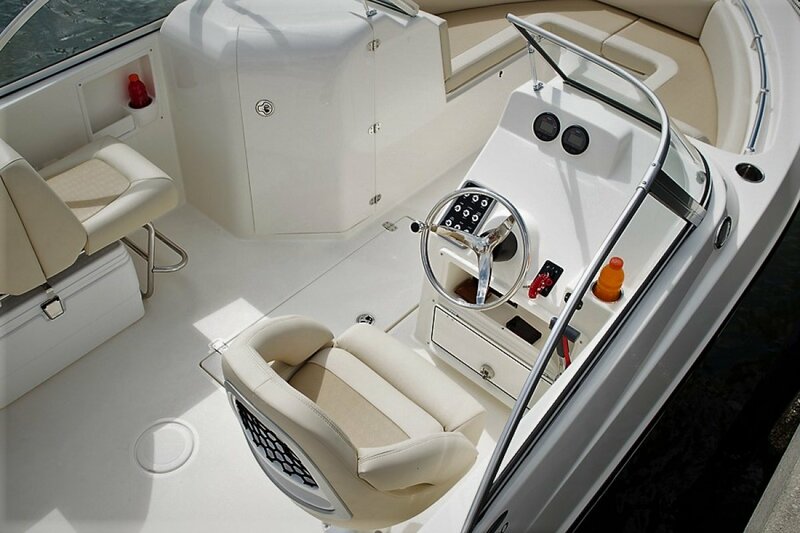 Luxury, comfort and quality come standard with every Cobia 220 Bowrider. 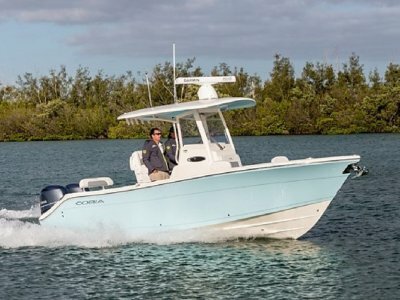 Designed with the same silky smooth hull and dry ride as the out-performing 201 CC, the 220 DC handles even the biggest water with confidence, safety and style. 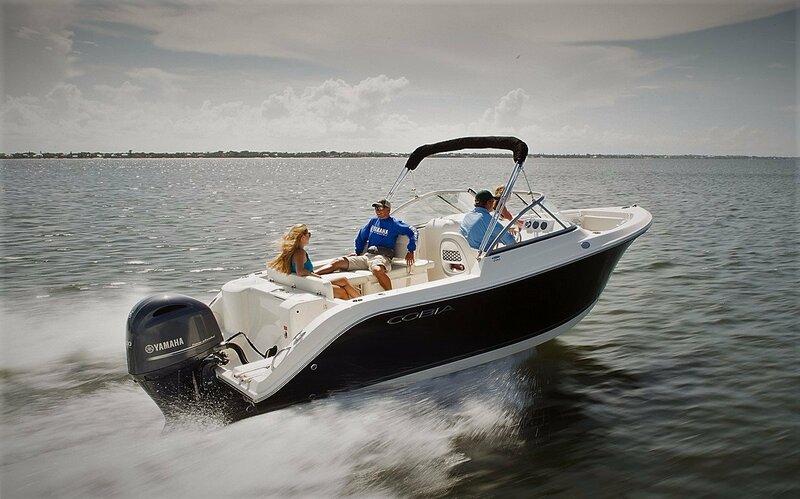 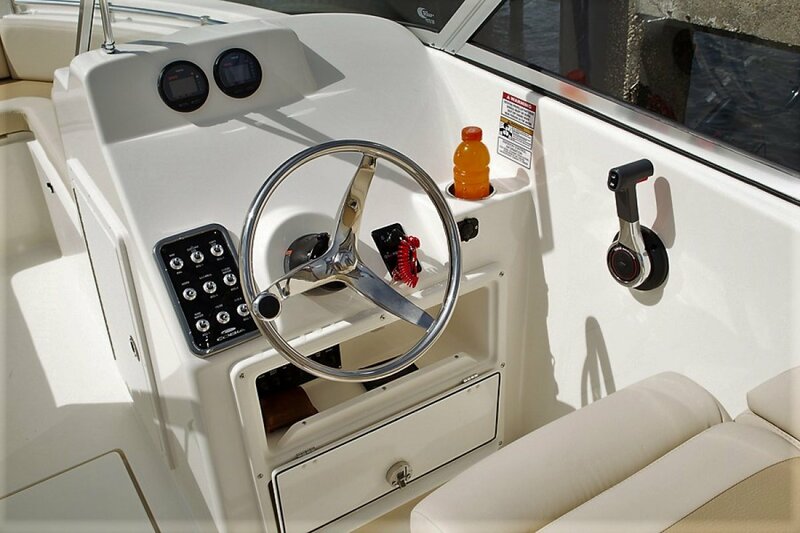 A smart, multi-purpose layout is ready to meet any on-the-water adventure for the whole family and friends. 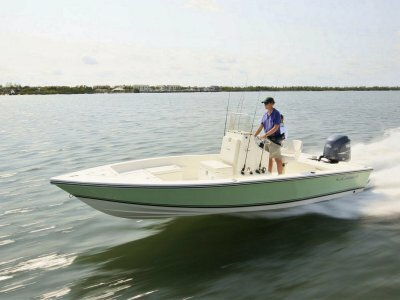 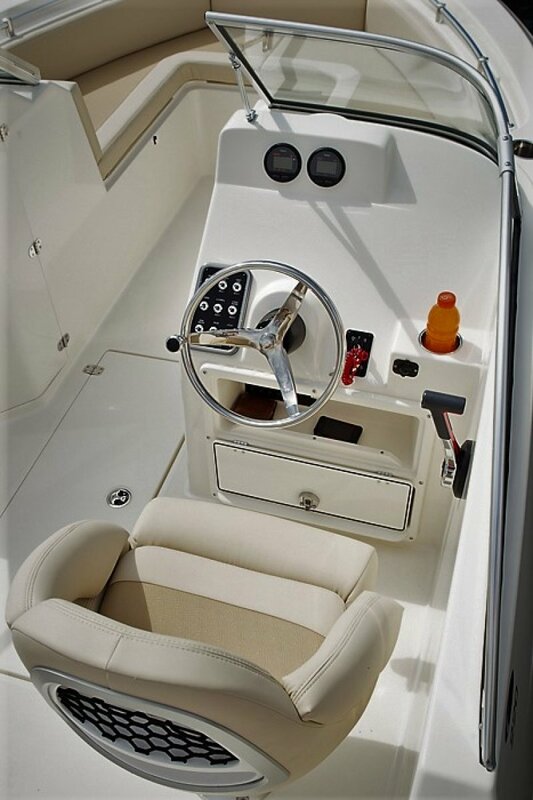 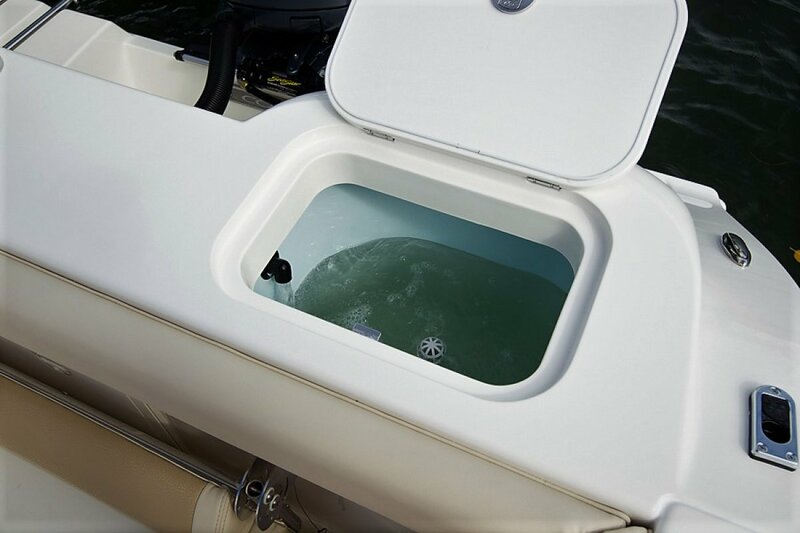 Standard features include fold-down aft seating, a passenger seat that converts to a lounge and serious fishing amenities like dedicated undergunwale rod storage. 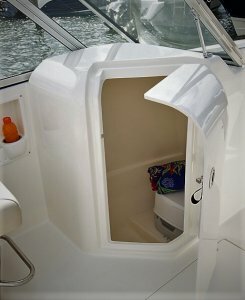 Add to that expansive storage space for gear, bags and skis, a fully finished standup head area and an array of options including a ski tow bar that cleverly recesses into the deck. 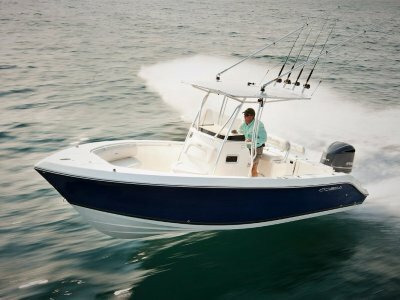 The 220 DC answers the call no matter the conditions, the activity or the crew.